Below you fill find all funeral homes and cemeteries in or near Mifflintown. Suburbs of Mifflintown: Arch Rock, Cuba Mills, Denholm, East Salem, Fermanagh, Jericho Mills, Macedonia, Van Wert, Walker, Zooks Dam. Mifflintown is also known as: Juniata County / Mifflintown borough. Zip codes in the city: 17059. Juniata County funeral flowers can be purchased from one of the local funeral shops we partner with. The Brown Funeral Homes, Inc. is proud to announce that on January 19, 2012, David K. Pray, has become a fully licensed Funeral Director and will begin offering his services along with Daniel B. Brown and Kirk D. Freed. Some of the notable people born here have been: (mugs stump), (joseph m. belford), (g. brooks earnest), and (chal port). Mifflintown is a borough in and the county seat of Juniata County, Pennsylvania, United States. The population was 936 at the 2010 census. It was written on October 7th, 2017 that Michael Gene II Gulley passed away in Mifflintown, Pennsylvania. Gulley was 29 years old. Send flowers to express your sorrow and honor Michael Gene II's life. It was reported by Johnstown Tribune-Democrat on June 16th, 2016 that Maxine E Roles (Norman) died in Mifflintown, Pennsylvania. Ms. Roles was 60 years old and was born in Camden, NJ. Send flowers to share your condolences and honor Maxine E's life. It was revealed by Johnstown Tribune-Democrat on December 29th, 2014 that David Scott Kuhar passed away in Mifflintown, Pennsylvania. Kuhar was 49 years old. Send flowers to express your sympathy and honor David Scott's life. It was written by Williamsport Sun-Gazette on July 12th, 2014 that Miriam E Burnworth (Mader) perished in Mifflintown, Pennsylvania. Ms. Burnworth was 95 years old. Send flowers to share your condolences and honor Miriam E's life. It was disclosed by Williamsport Sun-Gazette on June 29th, 2014 that Jeffrey L "Jeff" Parsons perished in Mifflintown, Pennsylvania. Parsons was 42 years old. Send flowers to express your sympathy and honor Jeffrey L "Jeff"'s life. It was disclosed by Juniata Sentinel on June 25th, 2014 that Isabel M Yoder (Moyer) perished in Mifflintown, Pennsylvania. Ms. Yoder was 95 years old. Send flowers to share your condolences and honor Isabel M's life. It was noted by Juniata Sentinel on June 18th, 2014 that Harry Carlton "Cart" Aurand died in Mifflintown, Pennsylvania. Aurand was 82 years old. Send flowers to express your sorrow and honor Harry Carlton "Cart"'s life. It was reported by Juniata Sentinel on June 18th, 2014 that Stella E Foose (Boyer) passed away in Mifflintown, Pennsylvania. Ms. Foose was 88 years old. Send flowers to share your condolences and honor Stella E's life. It was disclosed by Juniata Sentinel on June 11th, 2014 that Robert J Crimmel died in Mifflintown, Pennsylvania. Crimmel was 75 years old. Send flowers to express your sorrow and honor Robert J's life. It was noted by Juniata Sentinel on June 11th, 2014 that Mary K Forry (Peterson) passed on in Mifflintown, Pennsylvania. Ms. Forry was 80 years old. Send flowers to express your sorrow and honor Mary K's life. The population was 861 at the 2000 census. Mifflintown is a borough in Juniata County, Pennsylvania County, Pennsylvania, United States. It is the county seat of government of Juniata County, Pennsylvania County . . . The official website for the city of Mifflintown is http://www.mifflintownborough.com/. Here are the results for funeral homes in Mifflintown Pennsylvania. 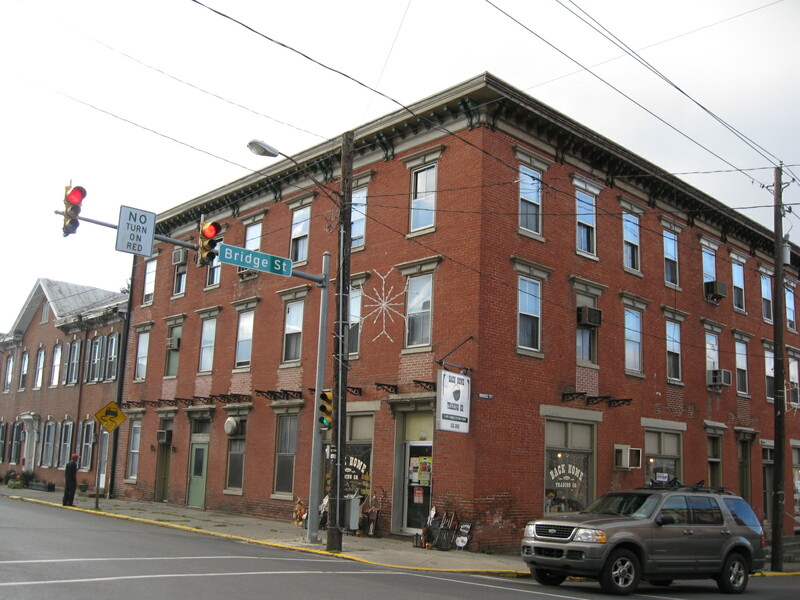 You can find some of the best funeral homes businesses serving Mifflintown. Listing all funeral homes in Mifflintown, Pennsylvania so you can easily send flowers to any location (same day delivery) or find any funeral service. Find a Funeral Home inMifflintown, Pennsylvania PA to provide the caring burial and ceremonial services your family deserves. We work with local florists and flower shops to offer same day delivery. You will find budget sympathy flowers in Mifflintown here. Our funeral flowers are cheap in price but not in value.